Biking Singapore Teambuilding is a dedicated team of trainers, who focuses on introducing team bonding and team building activities for Corporate Organizations, Government Institutes and Schools. Our teambuilding activities are built base on the benefits of Experiential Learning and Character development. Domino tiles has a certain charm to it which makes its players feel endless fun, excitement, despair and fulfilment. 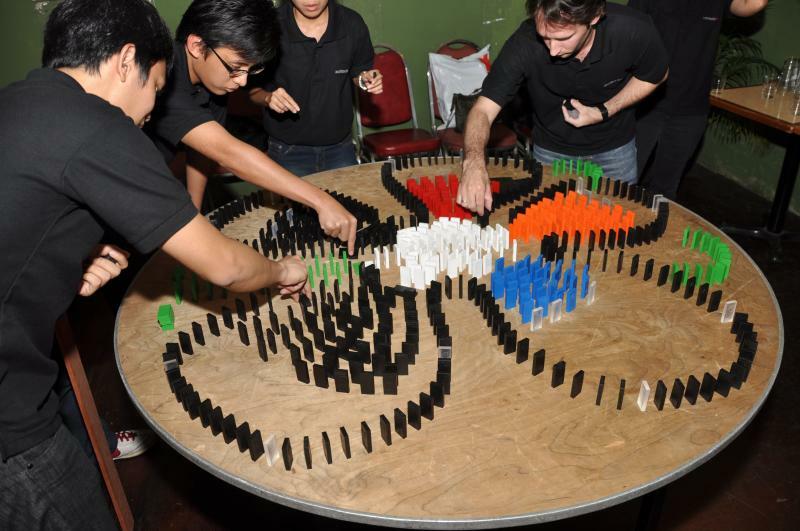 Domino Madness Teambuilding brings indoor teambuilding to a whole new level of experience. Imagine yourself as the architect of creating a series of Domino maze with spiralling design, mechanism and breath taking turns. If you are looking for a teambuilding session that ends with a great bang to it, Domino Madness Teambuilding is surely the best candidate for the job.